Changing the print parameters to adapt the height of the layer according to the inclination of the surfaces. laser control system capable of detecting anomalies of the material deposited during printing. 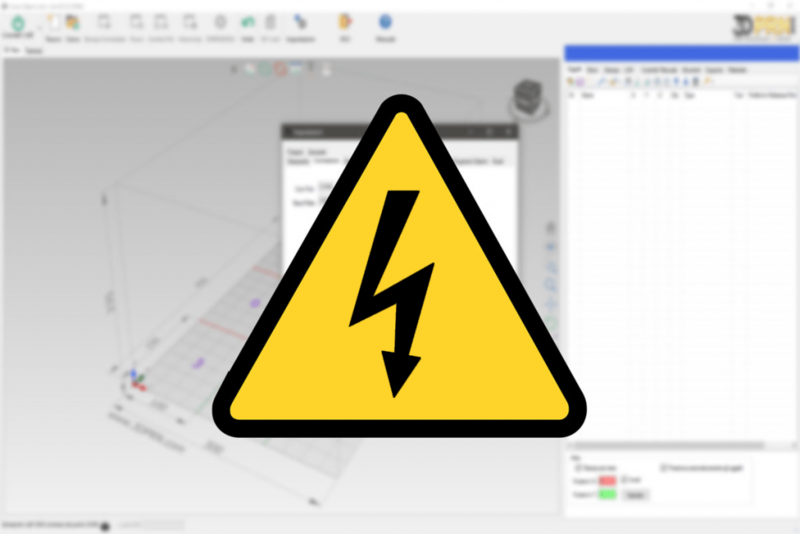 If the electricity fails, 3dprnware deals with pause printing at the appropriate time. It offers the possibility to define a different filling percentage in the vicinity of the floor in the closed parts. Now it is possible to add to the press milling phases related to flat surfaces, faces or edges. Full openness to BREP geometry and a new professional format owner. It allows you to create a more or less rough surface according to our preferences. The ability to print parts with small portions of undercut unsupported. The precision on the Z axis! Thanks to this function it is possible to obtain the exact height. Fine control wire. When the coil is exhausted the printer pauses and waits for reel changeover then resume printing from where it last stopped. Flatness: for large areas, automatic correction of imperfections in the floor with progressive damping. Automatic rebuild of the arches, to improve precision and fluidity in the machining of curved parts. X-axis in arco. The objects may be printed undergoing a parametric arc deformation. Layers in this case they are made following the arch shape of reference. Procedure for automatic calibration of the flow. Dimensional calibration procedure for the utmost precision. Different strategies for the utmost quality. Advanced cooling the object in print. Multi axis and multi extruder. MultiProfile: you can apply more than one profile on the same subject. Z handling mode optimized for the utmost precision. With 3DPRNWARE you can split the printing plate in more areas and achieve the objects sequentially area after area. You can manage the print queue print also started: adding/removing objects. For each area/object you can establish parameters of different slice. You can change the main parameters of the slicer in a straightforward manner without the need to open external programs. For the slice is used 3DPRN-SLICER, Slic3R or Care. Multi MATERIAL, match a different material for each head. The head is not used you park automatically so as not to compromise the quality of the print head activates. Multi-TOOLS, the two heads are independent and each of them you can mount a tool different. X 2-2 DOUBLE printer, you have two completely independent printers who use half plan for each. 3DPRNWARE 3d printer software, in addition to using the main market slicer is supplied with one that uses innovative techniques to get the best quality items and structurally. Although very similar to slicer most used (Slic3R, care, ...) presents an additional set of parameters such as the "strategy for the perimeters", "creamers", "flatness", the "Z" optimization, "reconstruction of the arches", "x-axis" arc, ... that make a difference in terms of results obtained. Thanks to our software for 3d printer you can split the pot N-print AREAS and print sequentially area after area. You can manage the print queue even at press start adding/removing objects. For each area/object you can establish parameters of different slice. With multiarea objects are more solid struturalmente lowering the risk of failure of the prints for interruptions. In 3DPRNWARE there are a number of features for controlling the automatic process of grinding/x 2-mode printing MILL. 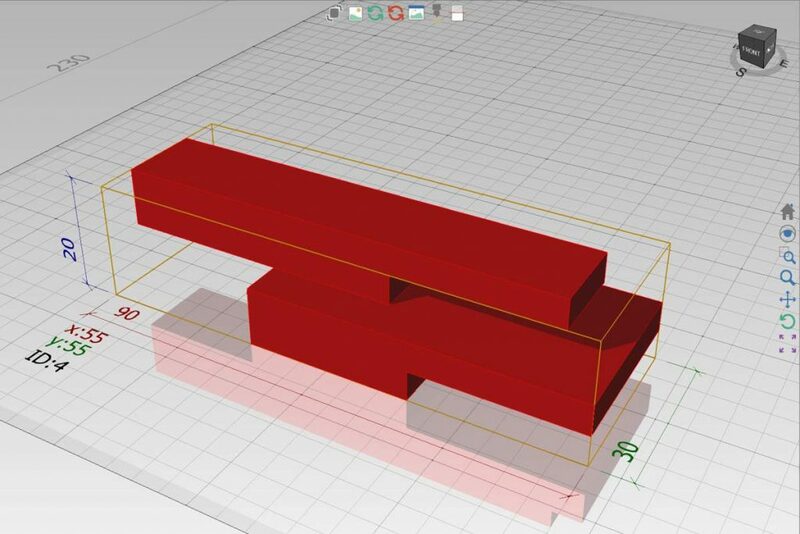 Automatic adjustment mode, 3DPRNWARE, compares the solid with the cutter geometry assembled to optimize the alternation of phases of printing with phases of adjustment. The function print multi reel, allows making prints that require more than one coil. 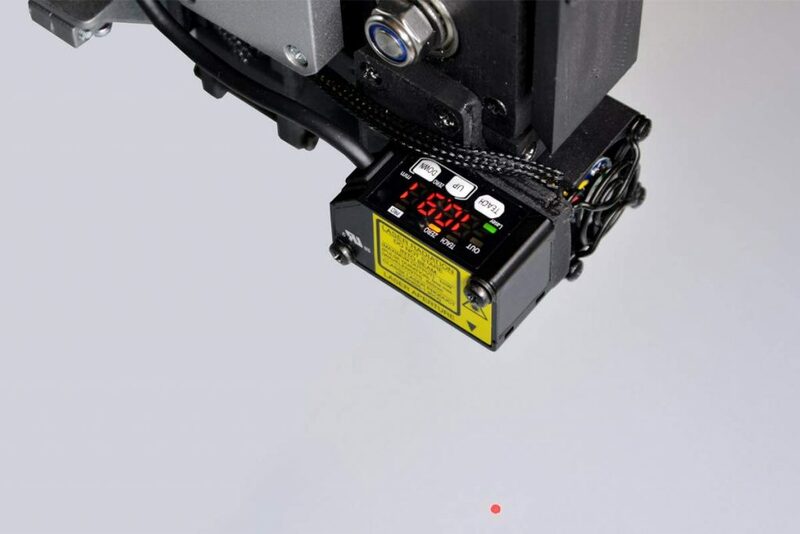 Indicates the coil weight on the printer and than available, the software will pause before the filament will then resume reel change took place. You can visually check the overall dimensions of the extruder body while positioning the object on the printing plate. Objects are printed whereas the x-axis and is no longer linear. Defines the arc that the x-axis must follow for printing and any object placed on the plate is printed with the starting object layer curved deforming. A dedicated function lets you print the template on which is printed the object. Never prints fail ... by now you can resume working by the height at which it was interrupted. for applying inserts in printing. With the application of inserts for example drowning data, hinges, bearings, ... within the object. Function that allows you to calibrate the extruder. 3DPRN printers require the use of different types of extruders each optimized for example for printing of special material. This requires the calibration of the extruder just fitted. 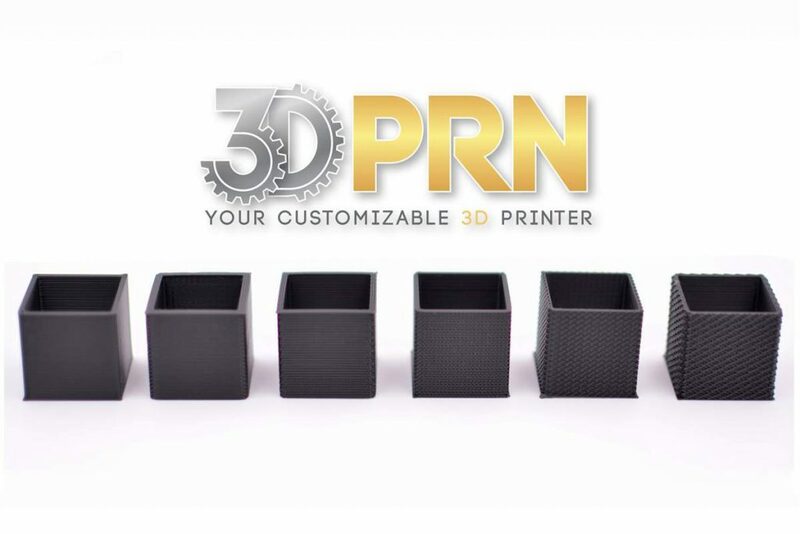 With the slicer native of 3DPRNWARE you have many new options for getting higher quality prints. With the continuous activity of research in the TIPS new techniques have been developed for professional use printers 3DPRN. The plate can be positioned objects to print each with a different profile of slicer. To the same object, it is possible to combine multiple profiles. When the size of the print area becomes important, the problem of flatness of the platen is felt. 3DPRNWARE solves this problem with Flatness. 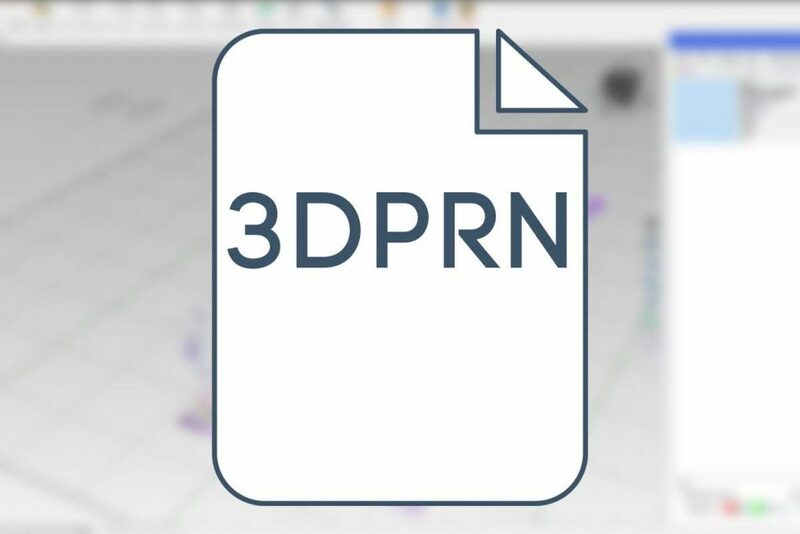 Set a grid of points, which are the dimensions of the plan, is automatically mapped the surface 3DPRN-WARE will follow during printing. The roughness of the floor are well catered for in the first layer and as dull until you are completely void. 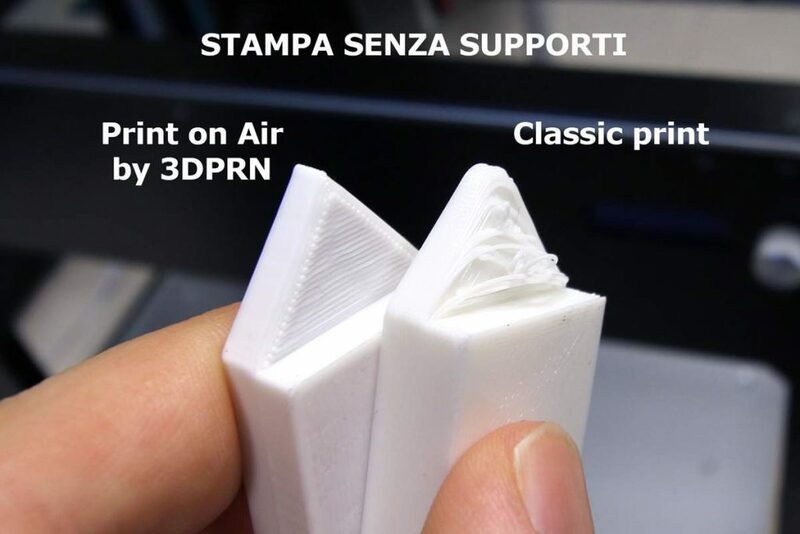 This unique feature is crucial especially for the large 3d printersand makes it possible to use small nozzles in these printers. In the "print to" you can set a work queue. When printing you can append new jobs and/or modify the queue itself. Set in the autonomy area as well as the sequence of objects to create. It is well known that 3D printing objects consist of faces that, through the slicer, are dissected and converted into linear movements. This means that any geometric shape has the object movements, will always be linear. With ARC-RECONSTRUCTION of 3DPRNWARE are automatically detected and rebuilt the arches that formed the original object. Better finish of the finished object. The curved part definitions shall be decided regardless of the accuracy of the original object and remains constant. The printer performs a single statement instead of dozens/hundreds/thousands, with the advantage of not overloading the buffer. The printer working at constant speed on learning without the stop & go characterizing the parts consist of many small segments. Best match especially if you compare the dimensional external perimeters with evacuated inland. With the expected functionality is very simple to reset the Z, calibrate the offset in the case of multiple axles. Axes z and x 2 or 2 x 2-resetting is done via high-precision optical sensors. Function to calibrate the axes of your printer to obtain very precise pieces. Just indicate the nominal dimensions of the object and those detected that the printer is automatically recalibrated. With this function you can specify the backlash that could arise between the belts and pulleys after thousands of hours of work. 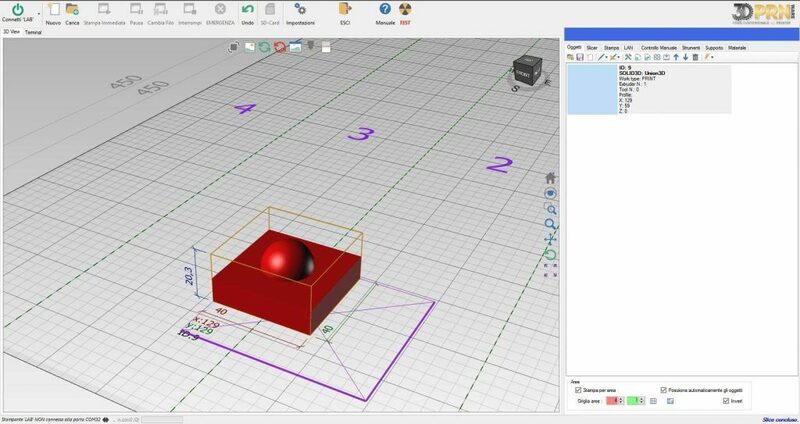 Thanks to this software for 3d printer, you can get the most out of your 3DPRN! 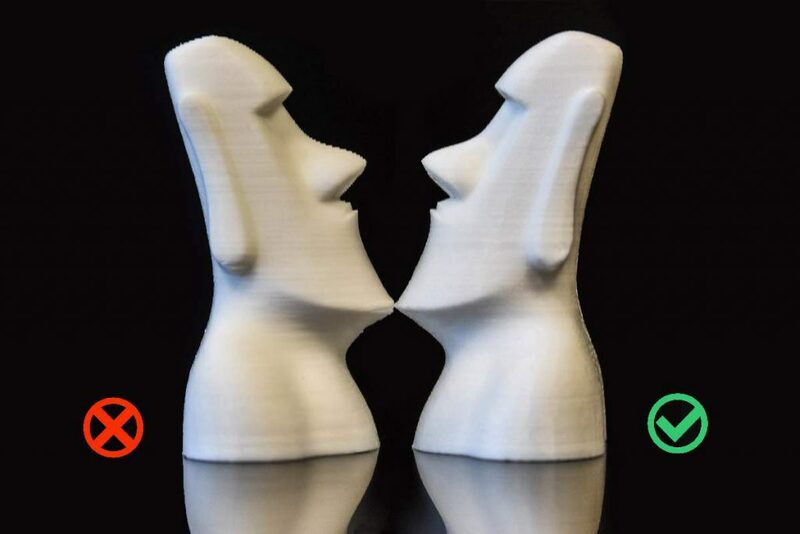 A feature offered by our 3D printers, in addition to customization with various options, you can also request, at any time, update to the latest version and/or the transition to top model. Contact us for more information. The 3d printer LAB X 2 MILL is the only 3D printer that combines subtractive and additive with that technique!